Hottest News - Join our Facebook group Earnings PTC! Do you wanto to receive the hottest news from the PTC world and be among the first people to receive it? Then join our Facebook group Earnings PTC here! You can discuss the sites from this blog and from the list of sites at BestRefback4U (that is the full list of sites that I am doing). Join now and you will never miss anything anymore! Here on this blog I post only the really important news, but I am still more moving with the news to our FB group. There are more and more people in the group that post news on their own too. Join us too! We discuss not only about PTC sites, but about all available and popular ways of earning money online. Very popular are especially revshare sites nowadays and other similar sites. We have hot tips for you that we are just trying and we do not publish them on this blog yet! Those sites will appear here only after proper testing. But you can be there while we are testing them too, you can be at the very start of the promising projects! We are posting there also a lot of our payment proofs, our detailed experience, steps how we are going in the programs, how successful we are, images of your accounts, statistics. Others also add their experiences and images. Highly recommended to join! 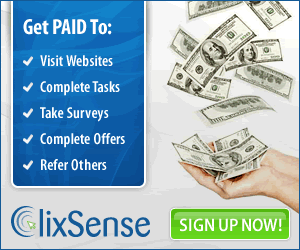 Do you want to advertise your programs and get referrals? Then join our promotional FB group Online Earnings! Have you discovered an interesting program and you want to recommend it to others? Then Do not hesitate and promote it in our Facebook group Online Earnings for free and instantly! You can post any articles you want related to online earnings in the Online Earnings group! Even with your reflinks, links to your sites, FB groups, FB sites or e-shop, whatever! It is not allowed to post your links in the Earnings PTC group (that is a purely discussion group), that is why we created the Online Earnings group where the advertising is free! Paidverts: PayPal is back! Great earnings on the horizon! MyFreeShares: $1150 super referral contest! Clixten promotion: Free upgrade! Over $200000 paid!